Are you searching for a tower server to meet the requirements of your small to medium-sized growing business? 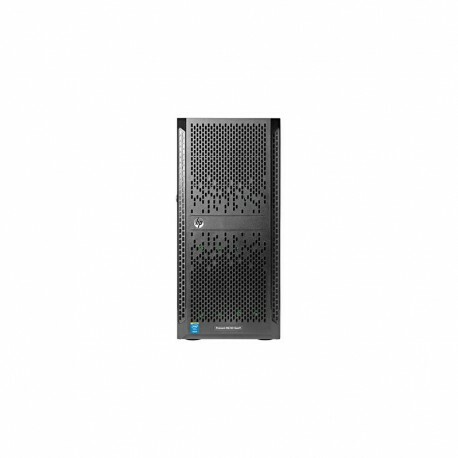 The HP ProLiant ML150 Gen9 Server is a tower server that delivers exceptional value for a business with a limited budget with a 24-inch chassis depth. Providing dual processor sockets, it provides essential performance with the Intel® Xeon® E5-2600 v3 processors. Built-in innovations that simplify server deployment and management, your business can continually reap these benefits on a daily basis, with expansion options that enable you to expand as needed, delivering increased business value. The HP ProLiant ML150 Gen9 Server provides efficiency and productivity for both the small to medium organization that is growing. The HP ProLiant ML150 Gen9 Server has built-in intelligence, with the right balance of storage, performance, efficiency, manageability and with enough headroom for future growth. Supports up to two (2) Intel Xeon processor E5-2600 v3 processors with up to 12 cores offering both improved performance and efficiency. Help prevent data loss and downtime with enhanced error handling while improving workload performance and power efficiency with up to (16) DIMM slots of HP DDR4 SmartMemory. Embedded SATA HP Dynamic Smart Array B140i Controller for boot and data. Choice of HP Smart Array Controllers for increased performance, data availability and 12 Gb/s SAS technology or HP Smart HBAs with reliable high-performance SAS connectivity capable of running HBA mode or simple RAID mode. The HP ProLiant ML150 Gen9 Server is designed as a dual-socket tower server providing configuration flexibility and expansion options to meet a wide range of different capacities, connectivity, and design requirements. Flexible expansion capacity with six (6) PCIe expansion slots, eight (8) USB ports, and power supply options. Compact server with a 24-inch chassis depth; newly designed and saves precious real estate space and is suitable for your growing business within a compact office environment. Offering expandability with greater capacity with up to (10) Large Form Factor (LFF) disk drives or (16) Small Form Factor (SFF) disk drive options and increased I/O expansion. Increased GPU support (two single wide and one double wide GPU card support) to boost performance in graphic and VDI applications for financial services, education, scientific research, and medical imaging. The HP ProLiant ML150 Gen9 Server continues to provide a simplified server deployment with tiered management. Businesses continue to reap benefits on a daily basis, while expansion options allow them to grow as needed with HP Integrated Lights-Out (iLO). Configure with the Unified Extensible Firmware Interface (UEFI) boot mode, provision both locally and remotely with either the Intelligent Provisioning or Scripting Toolkits. Online personalized dashboard for Converged Infrastructure (CI) for health monitoring and support management from within HP Insight Online. Optimize firmware and driver updates and reduce downtime with HP Smart Update, consisting of HP SUM and HP SPP. The HP ProLiant ML150 Gen9 Server delivers a new style IT that delivers simplicity and agility needed to manage business investments. Proven HP ProLiant reliability, exceptional worldwide service 24x7, unparalleled remote management tools that reduce IT travel costs, while increasing time-to-resolution. Worldwide availability, service and support with a complete range of HP Carepack offerings from installation to extended support.